Leave a comment on THIS post by 6 p.m. CT Tuesday, June 14, 2016 to be entered in the DRAWING for a copy of the book below. If you mention in your comment that you’re a follower (see in the left sidebar “Join This Site” and “Follow by Email”), I'll add your name a second time in the drawing. U.S. mailing address required to receive a paper book. I may or may not have read books offered for giveaways. The mention and giveaway of books on my blog does not in any way indicate any manner of my endorsement of said books. Read book giveaway details at Disclaimers. To provide you security, please leave your email address like this: johnATyahooDOTcom. Winner announced in next Thursday's blog post. seven, and a writer--in that order (mostly). She writes or reads inspirational romance of any genre, and if she's busy homeschooling, doing laundry, or fixing dinner, it's on her mind. 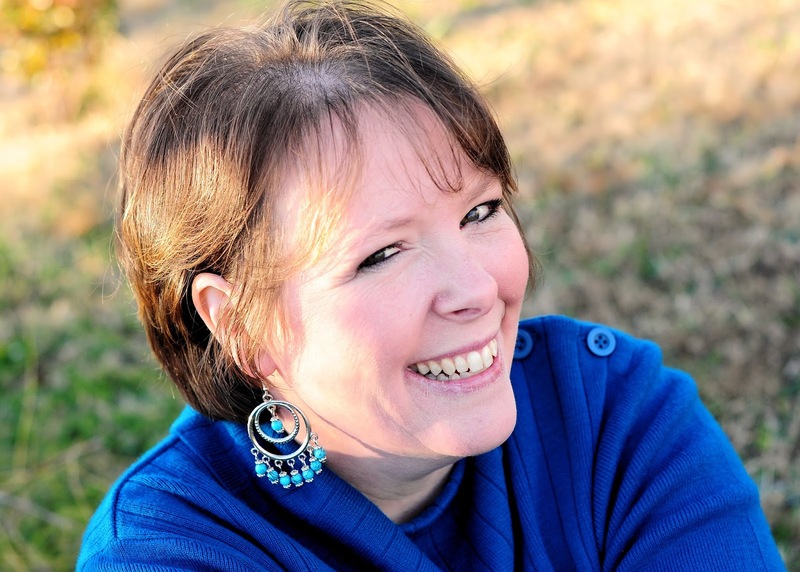 She's a member of American Christian Fiction Writers, president of her local writing group, and blogs regularly for InspyRomance.com and at gingersolomon.com. This changes for me, but I’d love to eat with Robert Frost. I’m not a poet, but I can appreciate a good poem. The Road Not Taken has long been one of my favorite. As I’m writing this (a few weeks early), my family and I are preparing for a vacation to Gatlinburg, Tennessee. We’ve been there a number of times, and I LOVE it. The mountains are so peaceful. I also just returned from Black Mountain, NC where I was surrounded by mountains. Two glorious weeks. I asked a few of my kids. They said creative, reserved, and organized. I have the final novella in my Broken Holidays Series, Broken Freedom, releasing this month. I’m privileged to be part of a boxed set with a group of talented authors, and that will release in September. And just two weeks ago, I signed a contract with my publisher for Love’s Choice. I don’t have a specific release date, but I hope by the end of this year or very early next year. Please tell us a little about your novel, Second Choice. Anaya Vallis's intended runs away, leaving only a cryptic note behind. Her father insists the wedding go forth as planned with a new groom. She has days to make a second choice. But wedded bliss does not come easily. 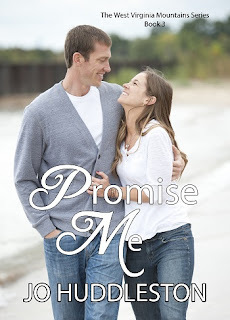 Two virtual strangers brought together by unforeseen circumstances must learn to trust each other and God's plan for their lives in order to achieve the happily-ever-after they both long for. 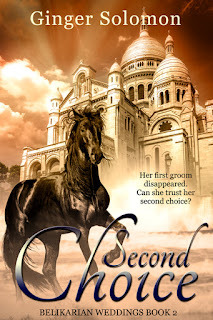 Where can readers purchase Second Choice? Thank you, Jo, for the opportunity to post with you again. Ginger, thanks for visiting with my readers and me. 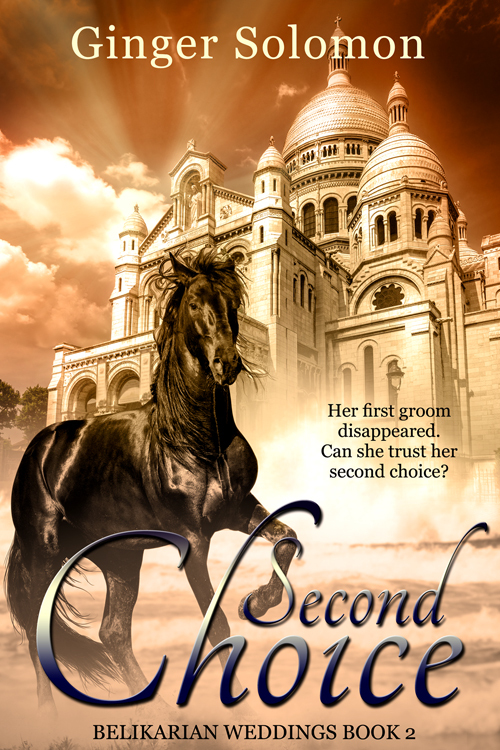 I'll draw from among commenters for a winner to receive an eBook copy of Second Choice, that Ginger has offered. Commenters, please leave your email address so I can contact you if you're the winner. The winner of last Thursday’s blog post for a copy of The City by Lorilyn Roberts is Patricia. I’ll email you. Thanks all for commenting. Watch for more book giveaways. Thanks for having me on, Jo. I really enjoyed the first book in this series. The second sounds just as good. Congratulations, Ginger! Kimberly, thanks for commenting. I NEED YOUR EMAIL ADDRESS TO CONTACT YOU IF YOU WIN THE BOOK DRAWING. I am on your mailing list. Email is kylarlockwoodATgmailDOTcom. Thanks first off for the chance to win. Anywho I absolutely love Robert Frost and would want to dine with him too. He is very inspirational and creative. I always thought 8f he wasn't a writer he would be an artist/painter since he has an unnatural way of seeing things and forcom8ng of his view on it. second note: the book sounds amazing; Second Choice. Kyla, thanks for coming by to comment. Kyla, you're welcome and thanks for following my blog! My fondest memory/memories...hmmm...they would have to be my honeymoon and seeing my children for the first time. Alison, you're welcome. Thanks for commenting and for following my blog! My fondest memories...holding my babies! I am definitely a follower. The first few moments are priceless for sure. Melanie, thanks for stopping by to comment and for following my blog! Pat, I appreciate you following my blog! Thanks for leaving your comment. My fondest memory is my wedding day. Love my husband so much!